Bafana coach Gordon Igesund believes lack of continuity is what has plagued the national side, but that things will be different now. Gordon Igesund says Safa has made a big mistake. According to the Bafana Bafana coach, the mother body failed to have continuity within the national team structures. “I think it was a big mistake from our side but now we have a plan and a vision in place to see to it that our players and plans do not end not being fulfilled,” he said yesterday. Igesund’s Bafana touched down at OR Tambo International Airport yesterday brimming with pride, with the coach vocal about a bright future after finishing third in this year’s Cosafa Cup played in Zambia. 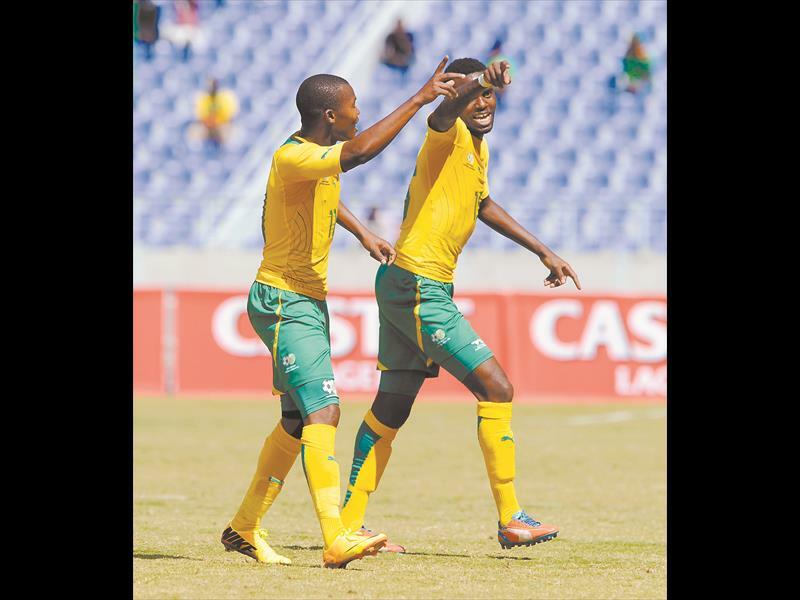 Mandla Masango and Hlompho Kekana scored for Bafana as they beat Lesotho 2-1 on Saturday after losing 5-3 via a shoot-out against tournament hosts Zambia. The national side defied odds as they managed to display some magical moments unexpected from them given that most of them were novices to international football. Lebohang Manyama, Lehlohonolo Nonyane, Jabulani Shongwe, Masango, Buhle Mkwanazi and Tshepo Gumede are the players who has their first taste of the international game and their displays belied that fact. Despite a number of impressive players in the team all round, Igesund shockingly mentioned that, perhaps, only three to four players may get the nod for Bafana’s matches till the end of the year. “I do think we have three or four names of guys who I know will be part of my team to play our remaining matches,” he said. Bafana play next when they face Burkina Faso in a friendly international next month, Botswana in a World Cup qualifier in September and Nigeria late in the year in a Nelson Mandela Challenge game. Should Bafana beat Botswana in their penultimate qualifier and Ethiopia draw, Bafana will qualify for the last round of qualifiers which will be a home and away game with one of the other group winners. One thing guaranteed for Igesund is that for those matches he may not have to deal with player withdrawals like he did ahead of the Cosafa Cup. “It was difficult times for us but I am still happy that the team did well despite all those challenge,” he said. Igesund stressed that finishing third was not something worth celebrating but what he was pleased with which is something to be commended was the spirit in the camp.